Product prices and availability are accurate as of 2019-04-24 12:54:59 EDT and are subject to change. Any price and availability information displayed on http://www.amazon.com/ at the time of purchase will apply to the purchase of this product. Have you eliminated plastic toothbrushes from your daily oral care? Whether you are just getting started making changes in your lifestyle to reduce plastic waste, or pursuing a total zero waste lifestyle; we are here! 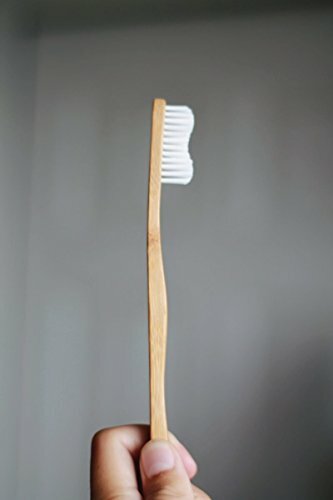 You might ask, "why should I replace my plastic toothbrush with bamboo?" We at BamBoo Roots believe that Eco-Friendly and Sustainable daily habits are essential to a healthy lifestyle. Our Bamboo toothbrushes are ergonomically designed for supreme comfort while you brush your teeth from day to day. "What makes BamBoo Roots unique?" - Our BamBoo Roots toothbrushes are specially wax coated to prevent water damage. 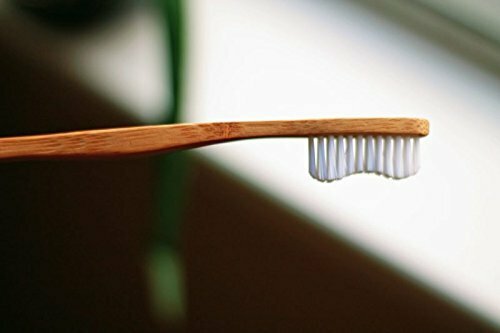 Many other bamboo toothbrushes get easily damaged by water; this is what inspired us to add this water proof wax coating to our brushes! 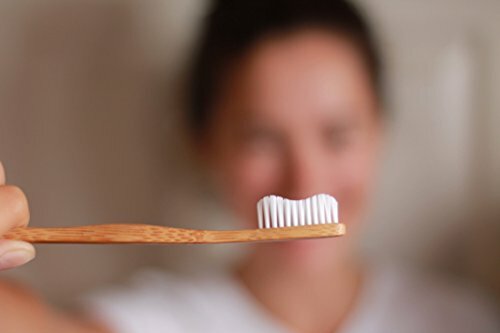 - Since soft toothbrush bristles are the safest choice for your daily dental hygiene, we specially designed our BamBoo Roots Toothbrushes with Soft Nylon 610 bristles. Your comfort and safety is our #1 priority! Our wave shaped handle and the head's 15-degree curvature allows you to seamlessly and comfortably reach those hard to reach areas and get the best clean possible. Since this product is made of the incredible moso bamboo plant, there are no splinters and the edges are smoothly rounded. We at BamBoo Roots believe that this is an important aspect of this product. You might notice that your four bamboo toothbrushes vary in color and texture, this is due to their natural qualities. We love the variability of the color and texture our natural toothbrushes have. Using BamBoo Roots bamboo toothbrushes brings us together and back to our ecological roots. In fact, the first toothbrushes ever used were made from the bamboo plant... Why change what is already perfect? 1,000,000,000 plastic toothbrushes are used in the U.S. each year. Plastic toothbrushes are composed of durable plastics, which makes them practically impossible to recycle. 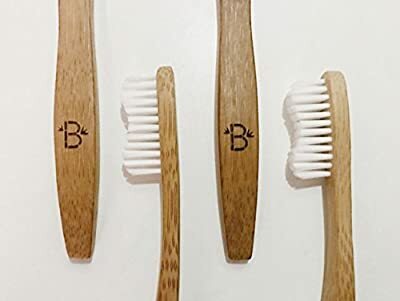 Forget plastic, let's change together... let's use bamboo toothbrushes. WHY CHOOSE BAMBOO ROOTS? We believe in brushing like a panda, using the most eco-friendly material in the world. Bamboo is the fastest growing plant on earth. This incredible plant can grow up to 3 feet in just 24 hours! 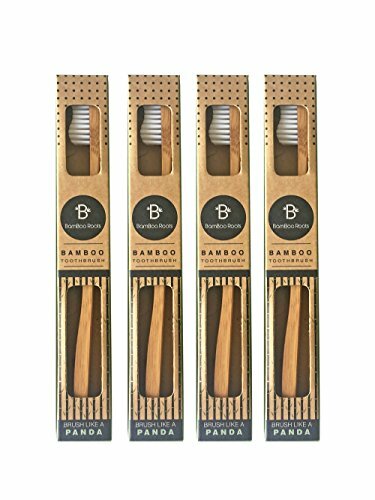 Bamboo is also Naturally Anti-Microbial, Anti-Fungal and Anti-Bacterial DO YOUR PART one billion plastic toothbrushes are thrown away every year in the United States, creating 50 million pounds of waste each and every year. With your BamBoo Roots Toothbrush, brush guilt-free knowing that you are not adding to the unnecessary plastic waste WHY FOUR TOOTHBRUSHES? The American Dental Association advises you to change your toothbrush every three months. We have designed each pack of toothbrushes to contain just the right amount of toothbrushes to last you a whole year! Each toothbrush is wrapped in a plastic-free wrapping in order to maintain top quality hygiene. Enjoy Your New Eco-Friendly and Ergonomically Designed BamBoo Roots Toothbrush!